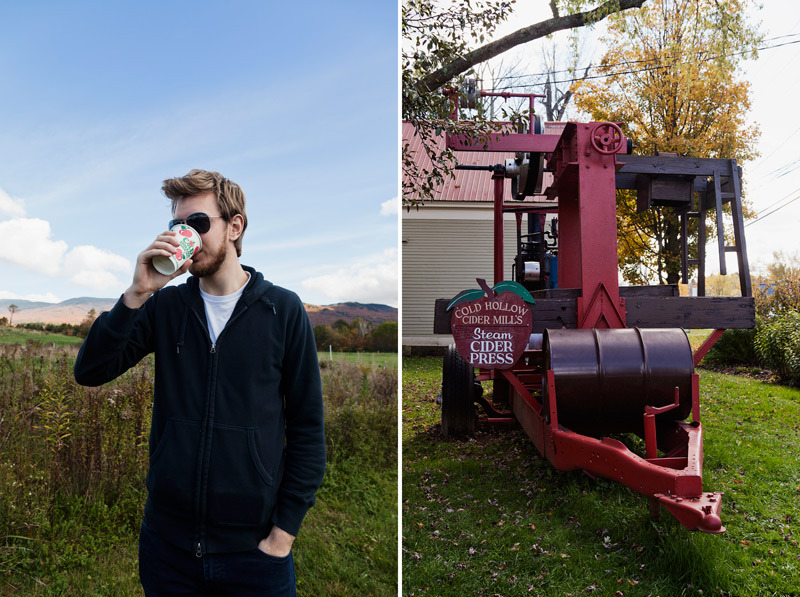 Cold Hollow Cider Mill was our favourite stop in Waterbury. 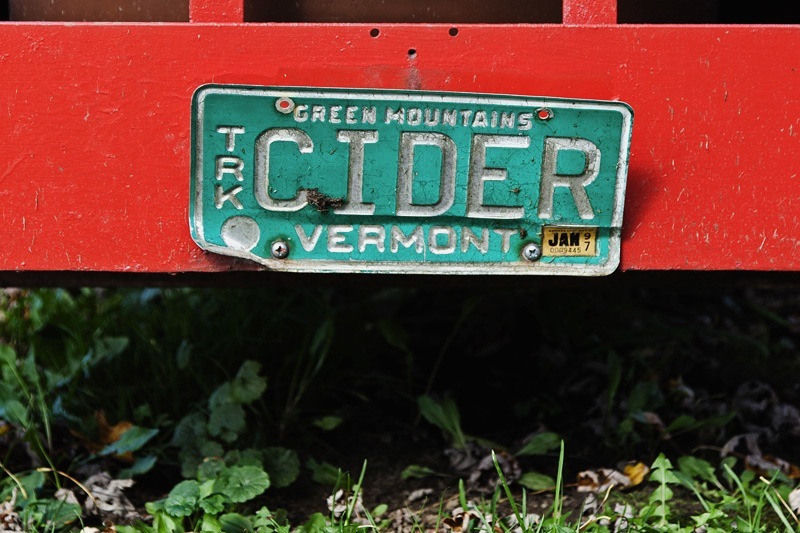 We may have gone there twice during our 3 days in Vermont . It was actually my first time drinking apple cider; the perfect fall beverage, I think. 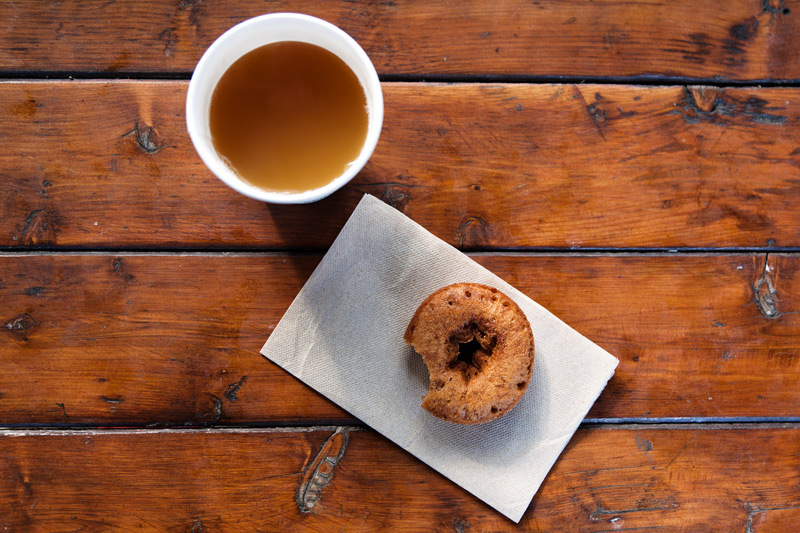 We've mentioned that we usually don't care for donuts, but these cider donuts were unbelievable. It makes such a difference when they're hot and fresh. After enjoying our snack, we perused the mill (to see the cider-making process) and the gift shop. The prices were reasonable, so we stocked up on maple mustard (sooooo good). I also bought a little sampler pack of pumpkin butter/cider jelly/maple sugar, etc... Oh, and the apple cider BBQ sauce that we've been using for pulled pork sandwiches is the best. Günaydın, ellerinize sağlık. Çok leziz ve iştah açıcı görünüyor.Fotolar çok güzel olmuş. Apple cider is one of my FAVORITE things. My aunt makes her own incredible recipe every year and I always look forward to it. Those donuts look so delicious! As much as I try to like it, I'm not an apple cider fan but to be honest, maybe I just haven't had the good kind! 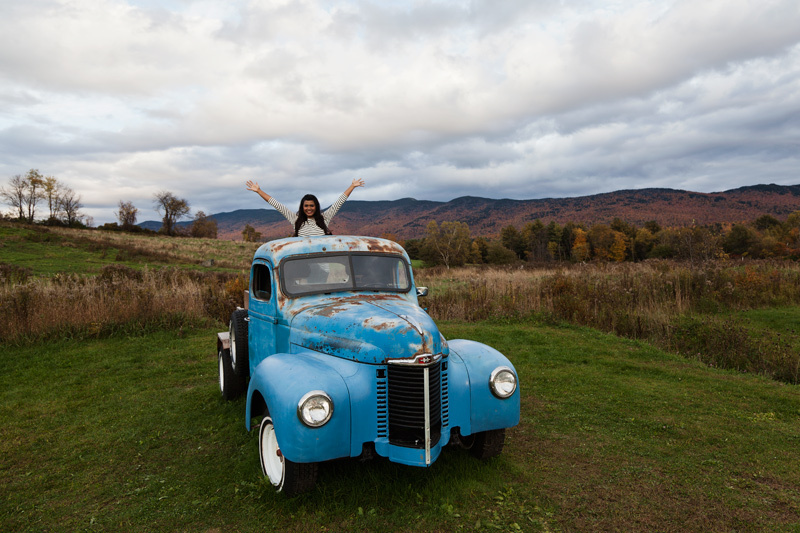 LOVE that shot of your in the blue truck!!! Wow you stepped it up a bit from your normal shy demure look in the truck picture.....I hope Alex makes it one of his favorites as it is sure one of mine. 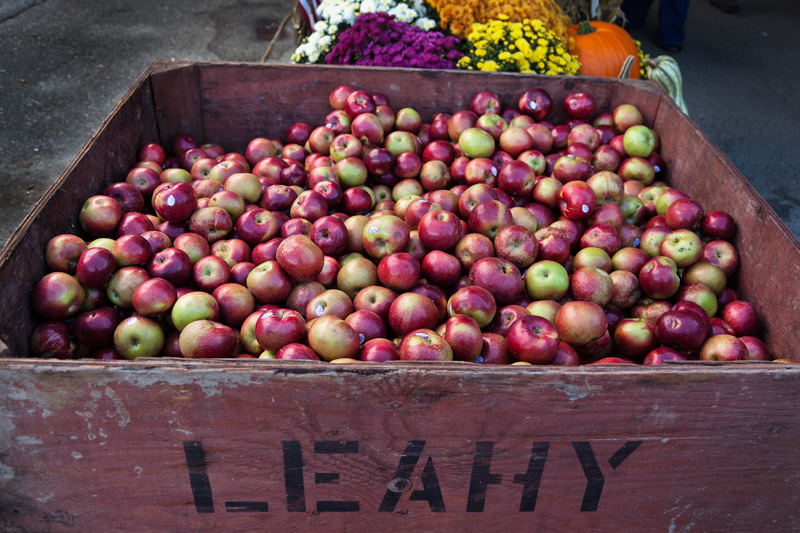 That's exactly why I like fall : apples and maple (I'm from Montreal so I basically overdose on both every year)! Great pictures! 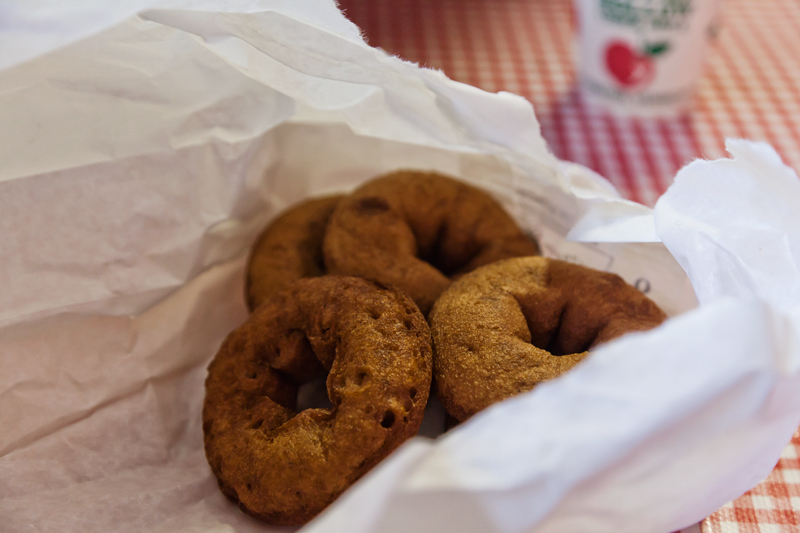 Cider donuts! Another wonderful reason to visit around. Thanks for the tip. love these pictures! and now i'm craving cider..